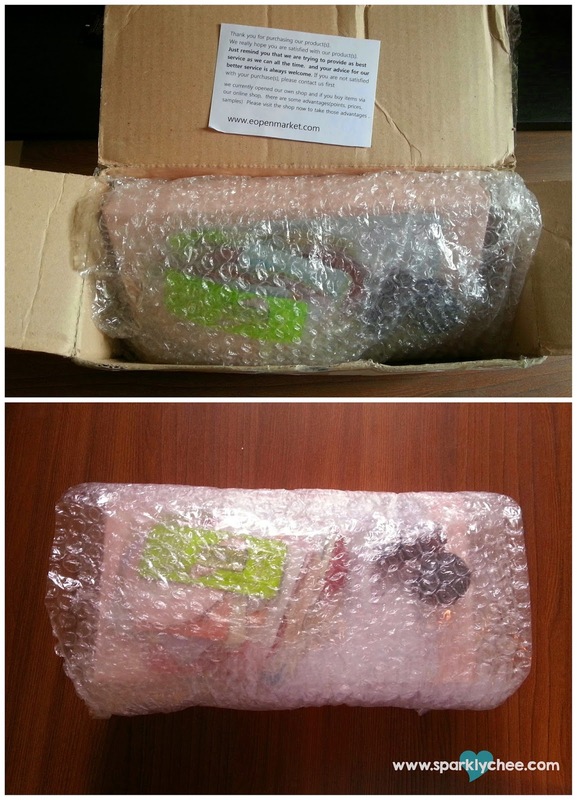 I have recently discovered another "surprise box" filled with Korean beauty samples from Cosmetic Market! I just cannot resists these mystery boxes, the prospect of getting products for cheaper than it retails is just too enticing! I found out about Lucky Box from my long time lurk-age in /r Asianbeauty on Reddit, and they seemed to be filled with samples and deluxe goodies, I just had to get my hands on one to try! There is a small and larger version, and I got the larger one. There are two types of Lucky boxes on Eopenmarket, number I and II. I is $6.80 and comes with 30 sample packets, plus some deluxe samples. I've seen people getting small oil cleansers, sheet masks, etc. II is $12.80 and 50 sample packets are given, and a larger deluxe sample kit plus a few more sheet masks and deluxe samples. First time purchasing from Eopenmarket, and it arrived surprisingly quick, around 10 days after they've shipped to Canada! Everything was wrapped with bubble wrap in a standard cardboard box. Also got these adorable Benton samples! 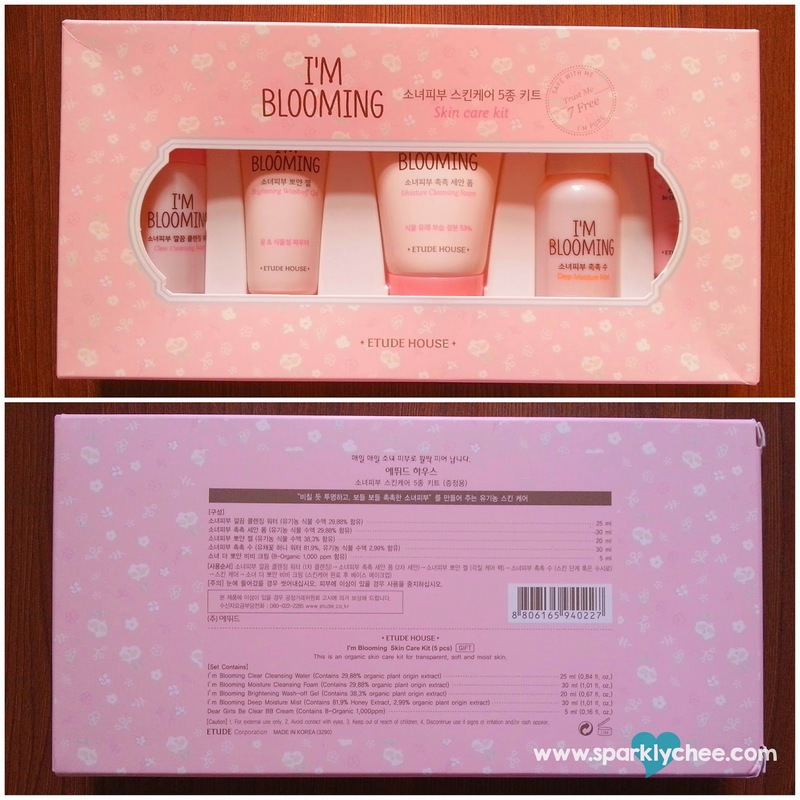 Etude House I'm Blooming Skin Care Kit! I think these lucky boxes are a great way to try out plenty of new products for cheap! 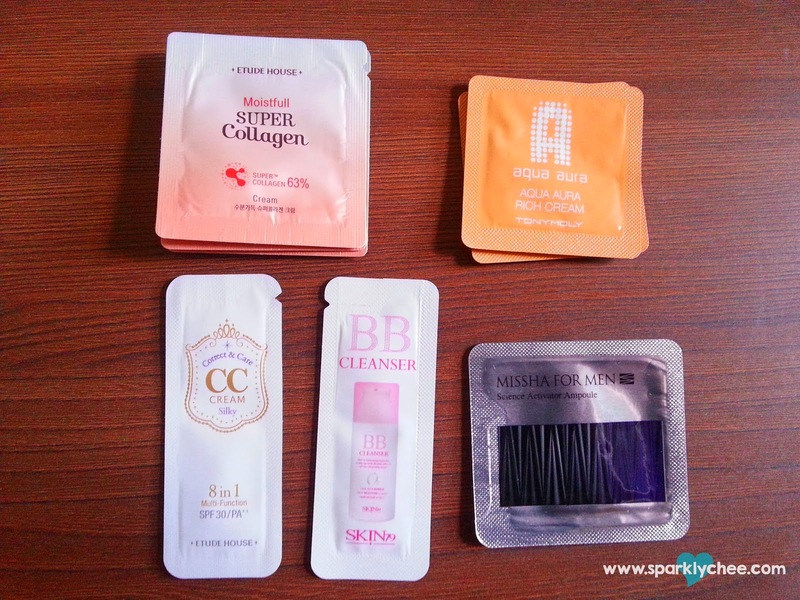 Especially if you are new to Korean makeup and skin care, since the Lucky Boxes contain mostly well known brands and products. 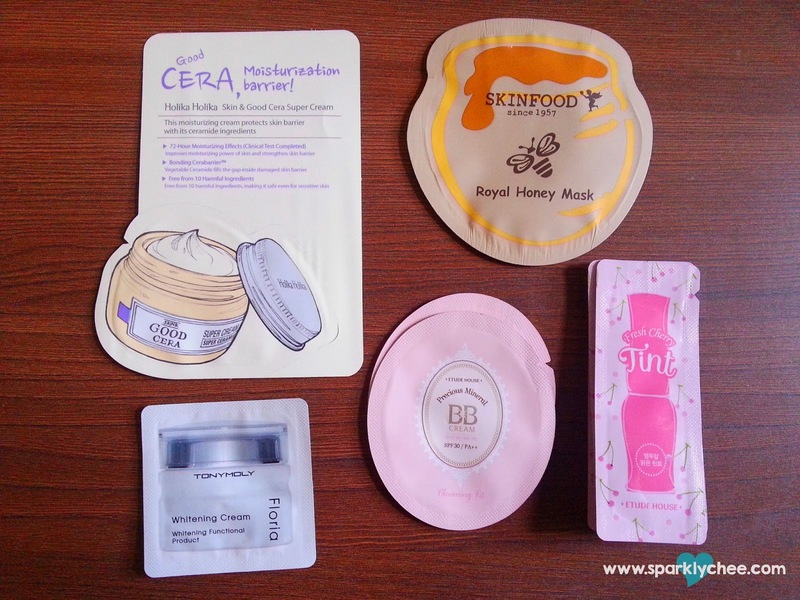 But even these brands are well known to you, I think they are great to keep as back up when running out of a certain product, or to take for travel. So do check it out if you're interested! I'll be giving away the full Etude House I'm Blooming Kit mentioned in this post to one lucky reader, so all 5 deluxe samples. One winner will be randomly selected using Rafflecopter. Giveaway ends Aug. 31th 2014. Winner will be contacted by email, please respond within 3 days! Please fill out the mandatory entry below. BTW, I nominated you as Beauty Blogger of the Month! Thanks for the giveaway! I've never actually tried Etude House products before, so it would be interesting to see how they turn out for me. 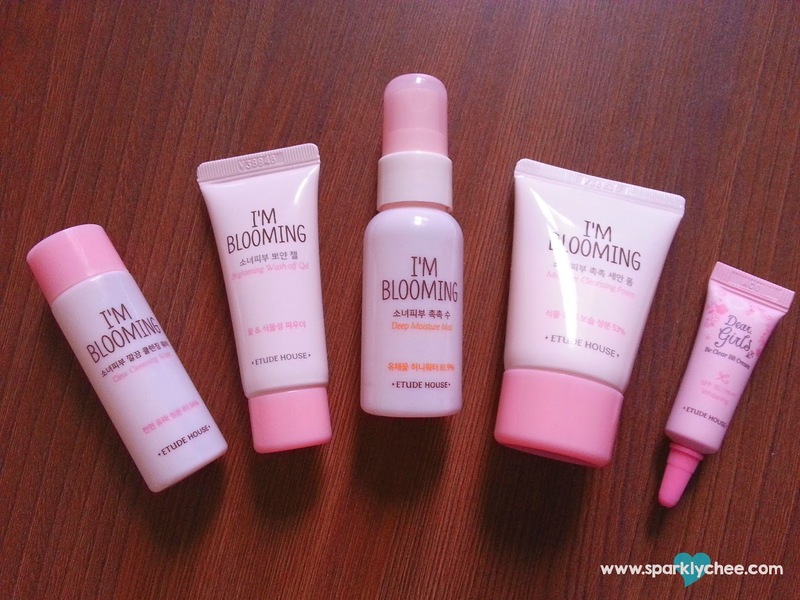 I've tried the I'm Blooming facial mist and I absolutely LOVE it! I bet the rest of the line is just as awesome! My favorite skincare line is Skinfood ^_^. My favorite skincare brand is simple! All their products are gentle on the skin but still very effective. Thanks for the giveaway! That's strange it shows up fine for me, and I have it on the sidebar too, do you have ad block on? I love to read your blog ! YOur post always surprised me :). Wait for you new post. By the way my favorite skn care was Laneige. 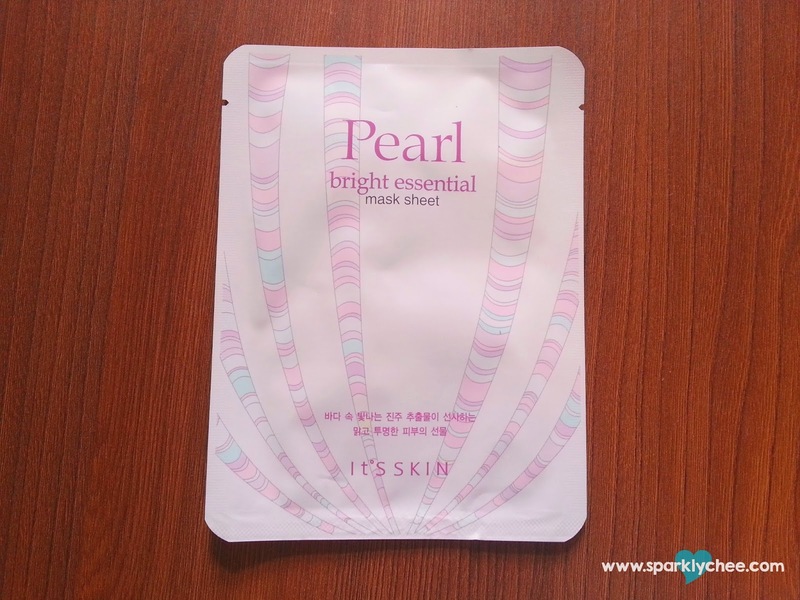 It really help my skin a lot. Silly me - I was looking in the rafflecopter box and not below! Whoops! But nooooo thank you for this giveaway! I don't have a favorite quite yet. 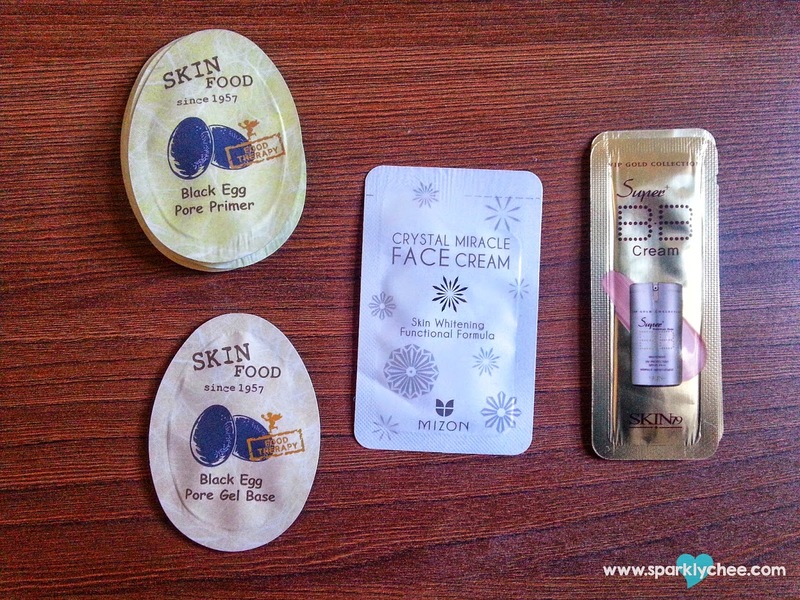 I'm loving my Etude House wonder pore essence and Mizon snail essence gel cream though! I have a thing for Tony Moly and Innisfree because of the good reviews that I keep hearing. But currently, my skincare rountine includes Kiehl's, Origins, Caudalie, Nature Republic, and Innisfree. I love trying out new products so this lucky box is sooo tempting. However, I recently bought too much skincare/makeup stuff so I'm going to control myself and wait till later. Thanks for the giveaway though. My fave skin care brand is Maybelline! My favorite skin care brand is Etude House! That's a hard question. Skin care brands I really like are Yves Rocher, Avène, Innisfree, Missha, Mizon, Etude House, Tony Moly . My favourite skin care brand is Naruko. Oh I havent decided on one yet, but I have a lot of Etude House to be honest. I believe more than any other brand. I'm new to skin care but I like Heart Face. I am not really into skin care, but I have sensitive skin so I prefer brands like Eau Thermale Avene and Bioderma, also Artdeco for cheek blush! 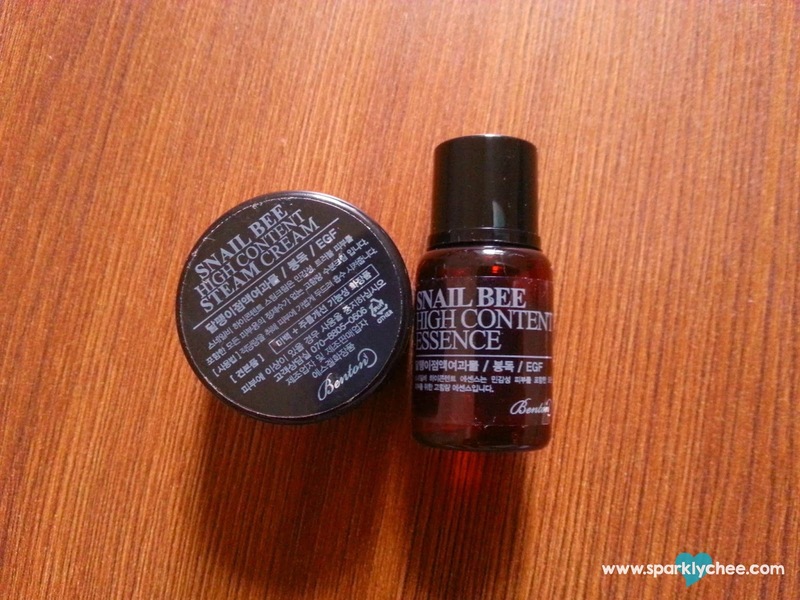 I really do like Innisfree, but I love EH and Skinfood, too. so it is a difficult choice. Thanks for the giveaway. Btw: thanks for the giveaway. I didn't know about these sample boxes. They seem great for newbies. My favourite skin care brand is Etude House. 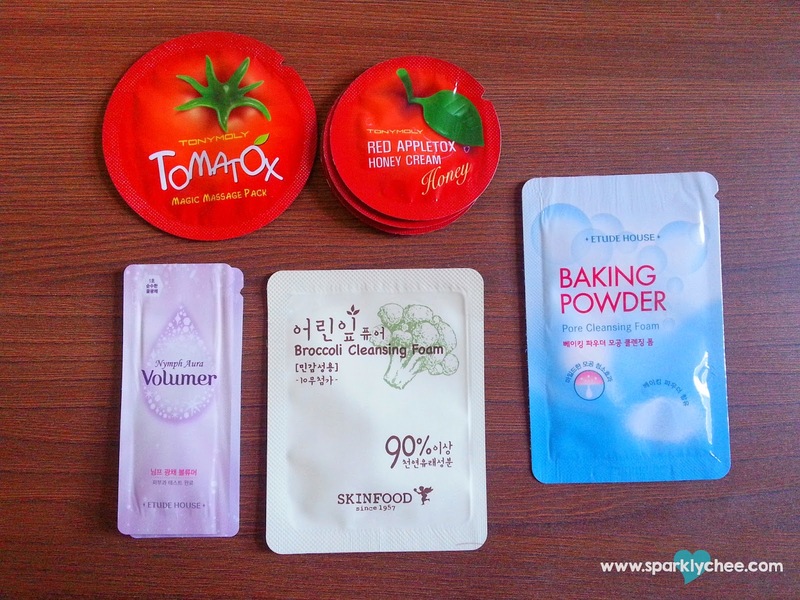 I have a few things form the Face Shop and The Body Shop that I really like but Etude House,Holika Holika and Skinfood are a few brands that I'm looking to try out in the near future! 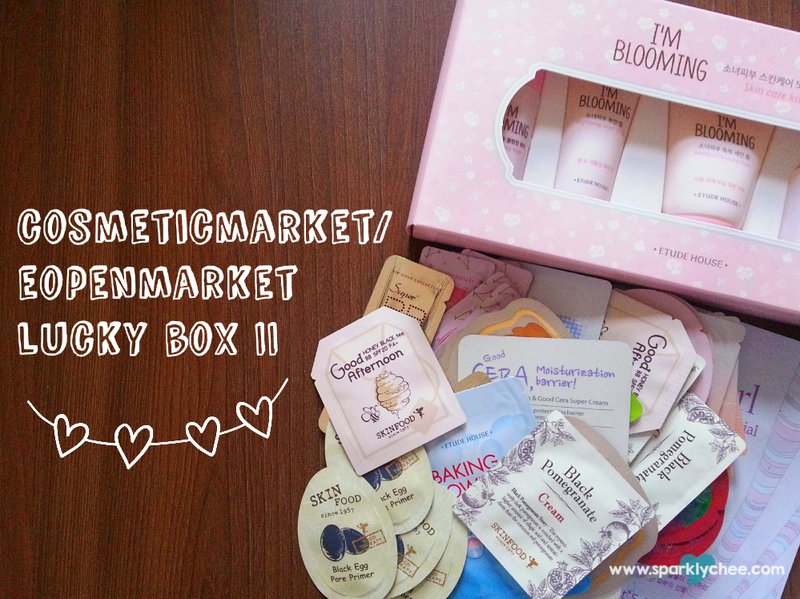 Memeboxes and the Lucky Boxes look so exciting and interesting, maybe I'll order some! Which do you think is better? The 1 or 2? Fav brand is Etude House and Nature Republic! My favorite skin care brand is probably Clinique, but if we are just talking Korean brands, then IOPE, for sure. etude house is one of my skincare! My favourite would be Innisfree. 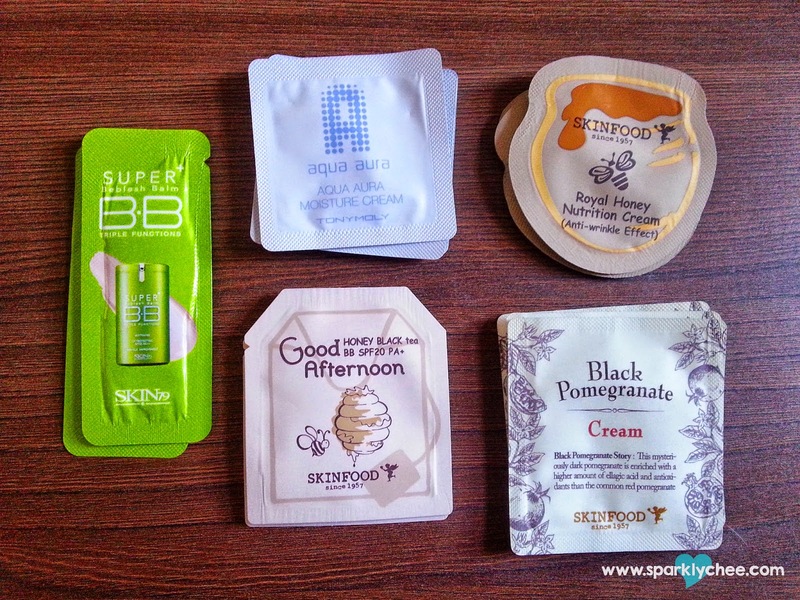 My favorite skin care brand i Etude House and SkinFood. Etude House - love their Mineral Any Cushion! Also Tony Moly whose Intence Care Galactomyces Lite Sssence I am about to repurchase. Him, I'd say Etude house! Wonder pore works wonders! Just found Etude House! Thank you for the generous giveaway!